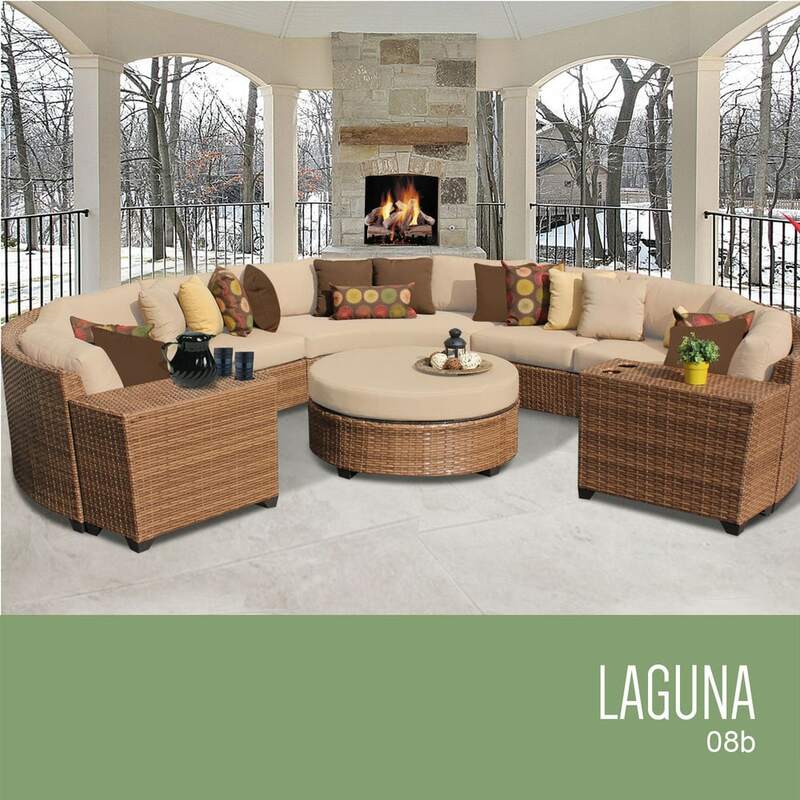 The Laguna will bring any outdoor area to life! Gently angled backs and wide arms which will reassure restful lounging. Rich captivating Caramel-colored all-weather rattan is expertly hand woven, wrapping every inch of the durable aluminum frame. Sturdy rust-resistant powder coated feet are color matched to table tops. Thick 6" all-weather cushions are enveloped in 2-year fade resistant acrylic upholstery.